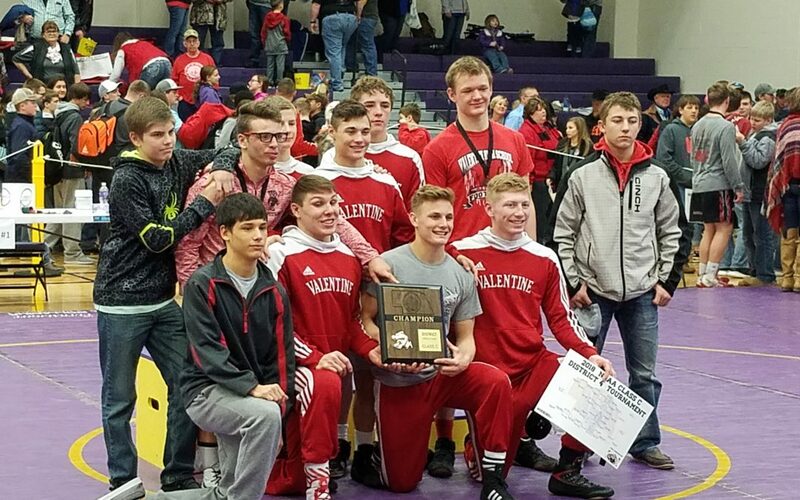 For most of the District C-4 wrestling tournament held in Bridgeport, the Valentine Badgers trailed Broken Bow in the team points until the Badgers won all seven championship matches and beat the Indians 216.5 to 215. District champions were Chris Williams at 106, Gage Krolikowski at 120, Jordan Kelber at 132, JJ Ramon at 138, Chase Olson at 145, Caleb Long at 160 and DJ Stephen at 170. Placing 3rd and qualifying for state was Lane McGinley at 182. State wrestling begins on Thursday morning at 9:30 with live coverage on KVSH Am 940 and kvsh.com.